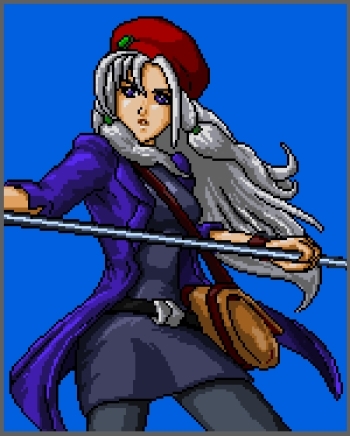 While I love 90's JRPG's, I really don't like it when western people copy the style in 2013. I've noticed that a lot of successful stars do heroin. oh lovely, escapist promoting income discrimination. I could of seen this project getting a bit more, but there was very little, if any, fanfare made about the project when they launched the kickstarter. Seriously, I only found out about the project six or so days ago, not by any news articles mind you (because there hasn't been any), but because I just so happened to look at the "discover projects" for the game section. It's always a bloody shame when these kind of projects either fail or score low because of a painful lack of exposure. I was excited for the project since they announced while working on penny arcade 4, so finding out about it as late as I did really saddened me. They make awesome, funny games and this project deserved a lot more. I've enjoyed all there games so far....every one was well worth the cost...and I hate that it's going to be so long till the next one. Perhaps it just seems like the others came out faster to me, but it's been awhile since Precipice 4, and now we have over a year more to wait before we get another game. Kickstarter or not...I just am bummed that it's going to take so long.